Have you ever roasted cranberries? 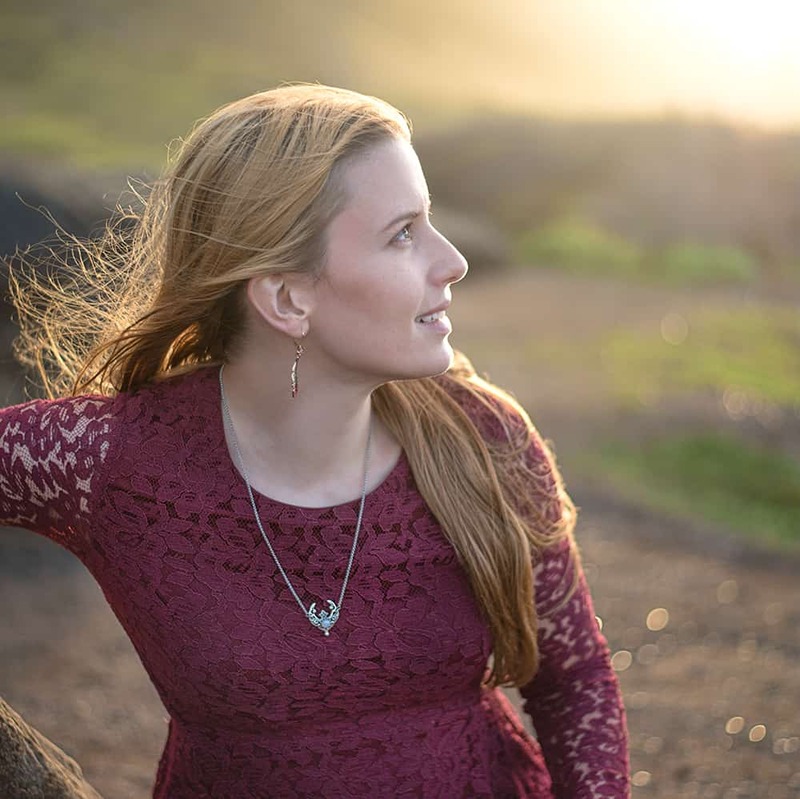 I hadn’t until just a few days ago, but I’ll be doing it a lot more often now that I know how quick and easy it is! I bought a bag of cranberries earlier this month because they looked so perfect and tempting. I didn’t really have a plan, but I figured I could at least make them for Thanksgiving, if nothing else came up. Well, something else came up and now I have to buy more for Thanksgiving! That’s okay, though, because this roast cranberry edamame feta salad is delicious and totally worth an extra trip to the grocery store. So why roast cranberries instead of just adding dried cranberries? Almost all dried cranberries have lots of added sugar. Yes, cranberries are very tart and you may want to add a little maple syrup when you roast yours, but the amount of sugar in most of the dried cranberries I’ve seen is pretty appalling. According to the bag I’m looking at right now, one 40 gram serving of these popular, name brand dried cranberries contains 29g of sugar. On the other hand, 100g of raw cranberries has just 4g of sugar, which means that a 40g serving would only have 1.6g of sugar. That’s a big difference! The added sugar in the dried berries pushes their sugar content past the AHA recommended daily amount for most people. 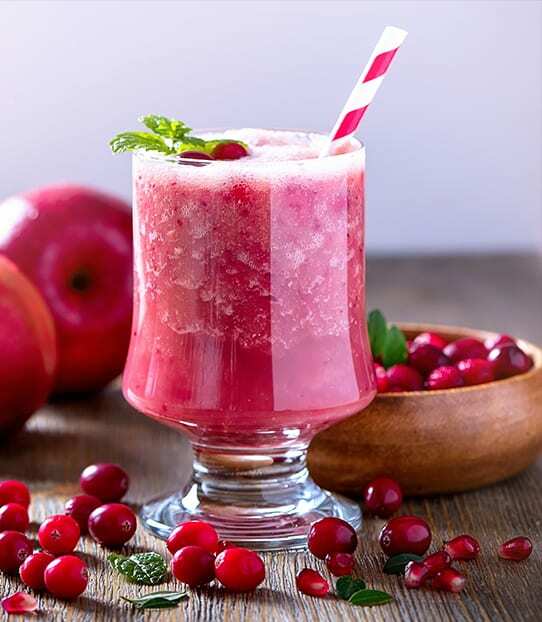 Drizzling a teaspoon of maple syrup on your cranberries before roasting them adds just 4g of sugar. See how much better off you are when you roast cranberries instead of reaching into a bag for the dried, sweetened version? This recipe has the ingredients for roasting two cups of cranberries, which reduces down to about 1 cup in the oven. I only use half the roasted cranberries in the salad, though. I stick the rest in the fridge and then use them in a smoothie later! 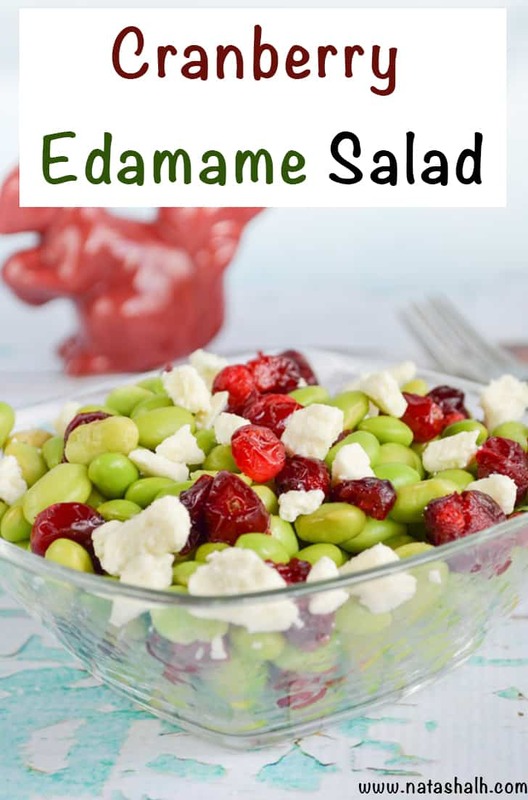 You can add all the roasted cranberries to your edamame, but the resulting salad will be very tart. You could also roast half as many to begin with, but then what would you put in your smoothie later? 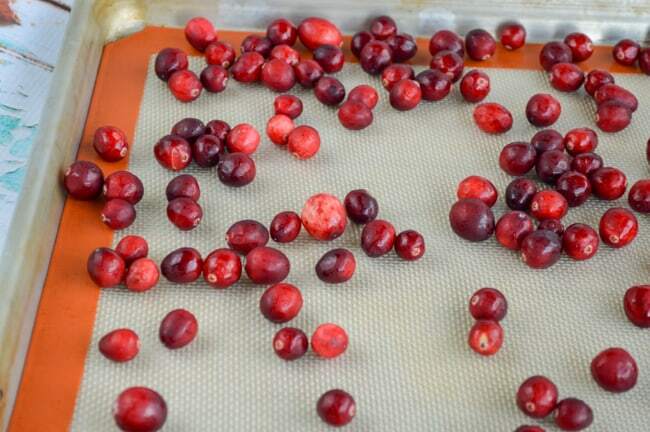 Roasting cranberries is incredibly easy and only takes about 10 minutes. I use my Silpat baking mat, but you could line your rimmed cookie sheet with parchment paper, instead. Then you just toss them with some coconut oil, cinnamon, and a little maple syrup, if you want to, and roast them at 400º until they’re splitting open, about 8-10 minutes. Don’t worry – the cinnamon flavor isn’t pronounced in the final salad, but it adds a little warmth to the dish. Cook up some edamame while your cranberries roast (I always just buy shelled, frozen edamame that are super easy to steam or heat in the microwave!). 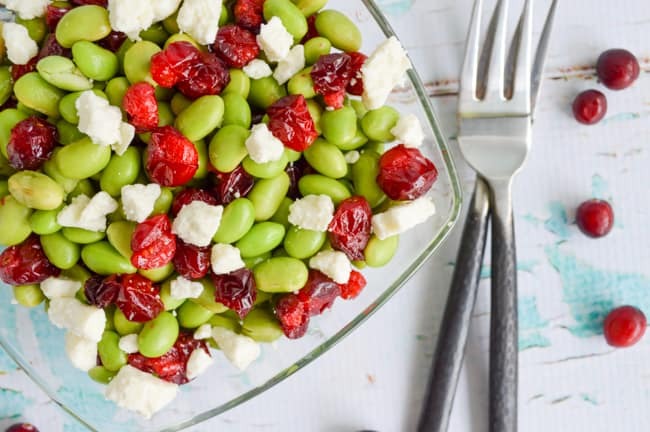 Finally, combine your cranberries, edamame, and feta cheese! Preheat your oven to 400º Farenheit and line a rimmed baking sheet with a silicone mat or parchment paper. Toss the cranberries, coconut oil, cinnamon, and maple syrup, if using, to coat the cranberries and then place them in a single layer on the prepared baking sheet. Roast the cranberries on the middle rack until they've split open and have visibly lost some volume. Don't let them turn to piles of goo, though! They should roast for about 8-10 minutes. 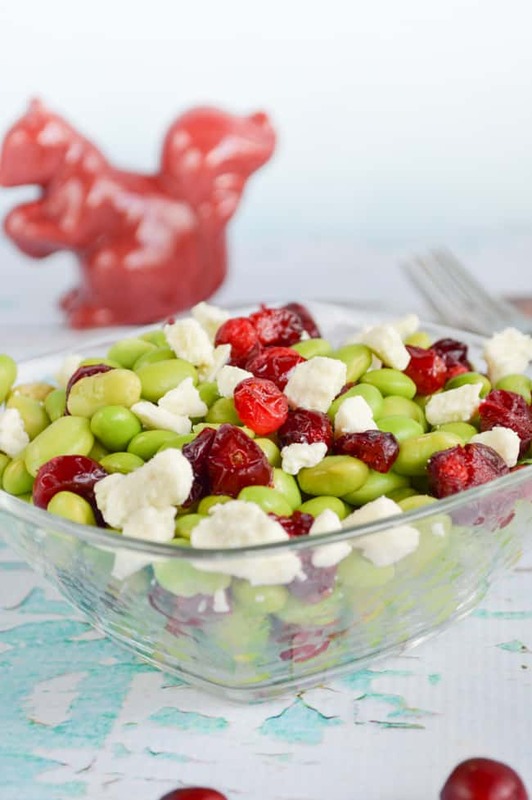 Combine the edamame, about 1/2 cup of roast cranberries, and the feta cheese in a bowl and serve hot or chilled. The pictured bowl actually contains all two cups of edamame and the 1/2 cup of cranberries. I know it doesn’t look like a lot, but I find edamame very filling. We both love edamame, but this salad is easily enough for us to enjoy on two separate occasions as a side. 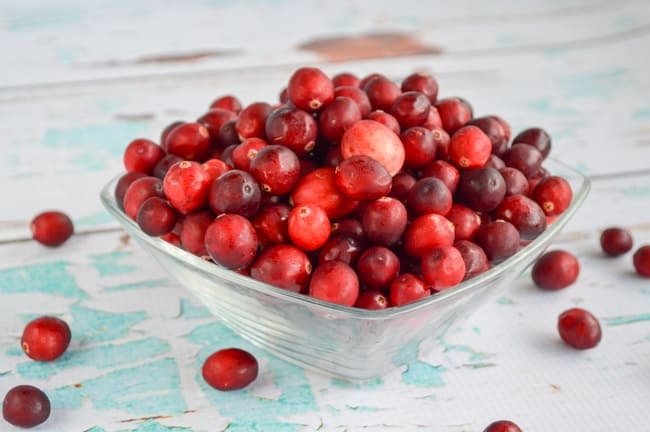 Do you enjoy eating cranberries more than once a year at the Thanksgiving table? What’s your favorite way to prepare them?